Attending a Vermont Youth Dancers show is an adventure in the unexpected. The name might suggest something akin to a dance recital — a series of unconnected dance numbers by youth of various ages and artistic interests. 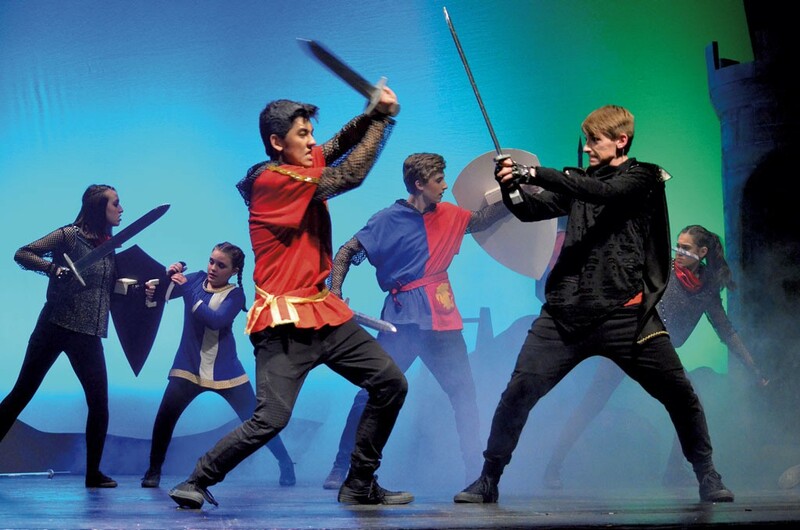 But the company's most recent show, Castle on the Hill: A Tale of King Arthur, was a carefully crafted dance theater performance with narrative drive, passionate acting and cohesive production. It was an artful reminder never to underestimate young people. VYD consists of 45 students ages 8 to 18 from throughout northwestern Vermont. 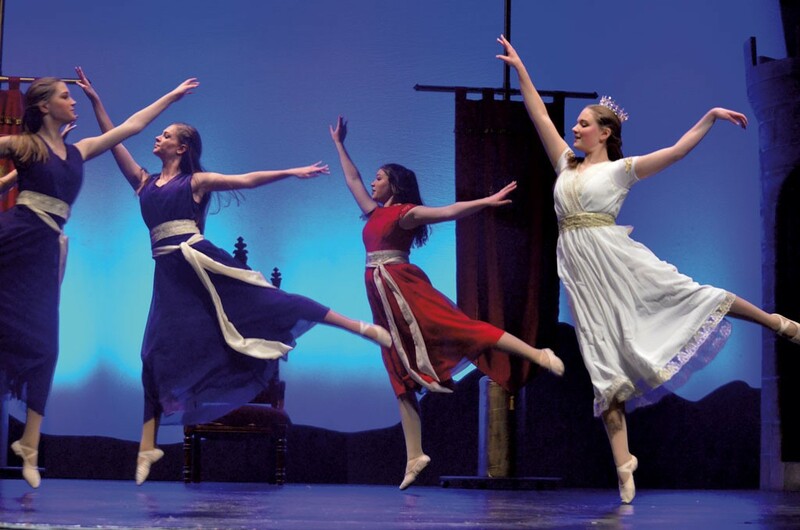 The company stages one full-length dance and music show annually, performed in April at a local high school and in June at a regional arts venue. Under the leadership of founding director Mia Groff and codirector Theresa Robinson — and with the help of parents — VYD presents contemporary adaptations of well-known tales such as The Wizard of Oz, Peter Pan and Oliver Twist, as well as the occasional show written by students. Every participant in VYD is a volunteer, and proceeds from each show benefit a local nonprofit. This year's recipients were the Jericho-Underhill Ecumenical Ministries Food Shelf and Hunger Free Vermont. Groff and Robinson choose shows based on their relevance to the dancers' lives. "We try to see where our kids are and what they are struggling with and make things fit," Groff explained. This year's show, Castle on the Hill, centered on themes of loyalty and loss: The company is losing six longtime VYD dancers who just graduated from high school. In one of two June performances at Spruce Peak Performing Arts Center in Stowe, ballet dancers leapt into midair splits and twirled each other in joyful spins. Hip-hop dancers twisted and popped in a battle of dominance between devotees of Avalon and Camelot. "I just love dancing. I look forward to every single day," said 14-year-old Amy Merena of Jericho, who played Merlin. "And hanging out with all my friends makes it that much better." Groff, 50, of Jericho and Robinson, 57, of Underhill planted the seeds of VYD with a 2006 dance performance that raised funds for a local child's heart transplant. The six kids in the show "had a great time together, so we kept getting together, and we pulled some new people in," said Groff. For a few years, they performed at farmers markets and other local events. In 2010, Groff and Robinson directed the first big VYD production, which included 16 kids. The company's membership grew steadily until the directors capped it at 45 in 2013. "That's really just because we can't fit another child on the stage!" said Groff. The two women also want to ensure a quality experience for each dancer. "Once a child becomes part of our company, they are guaranteed a role in future productions," said Robinson. "We like to grow that dancer from the time they become part of our group right up to when they graduate, when they leave." Most dancers perform with VYD year after year, and older students mentor younger ones, creating what feels like an extended family, according to Robinson, Groff and Merena. "We rehearse twice a week, and we always see each other at school, and it makes for really good relationships," said Merena. Her mother, Laura Merena, who is VYD's costume coordinator, has similar feelings about volunteering with the other parents. "We all get along and laugh a lot," said Laura. "If a problem arises, we all work through it." Dancers are invited to join VYD based on skill, character and/or the codirectors' instincts. "Sometimes we bring in kids just because we feel like it would really help them grow and gain some confidence to be included," said Groff. She and Robinson become acquainted with dancers through VYD's summer camps — which also present full-length shows — and through the dance classes they teach at the Bird's Nest Dance Loft in Jericho. Summer camps take place at various Chittenden County schools, and the company rehearses during the school year at Jericho Elementary School. VYD members aren't required to take classes with Groff and Robinson, but they must be enrolled in a dance class while preparing for the show so that they're "engaged in learning," said Robinson. The creative process begins in the fall, when the directors give artistic guidelines to about 10 adult and student choreographers. For the next six months, dancers learn steps and work with an acting coach, while parents sew elaborate costumes and make sets and props. In the weeks right before the show, more parents design lighting and master the soundtrack; Groff and Robinson write narration to weave about 30 dances into a clear story. "We want to give them all a moment in the sun, a time for them to really stand tall," said Groff. On opening night, the kids take the stage and make all set and prop changes during the show. Groff and Robinson watch from the audience. "I have a headset under my seat for emergencies," admitted Groff, but the two have complete confidence in their performers. "They don't really need us back there," said Robinson. "They've got it. They are an incredible group of young people ... It's obviously a huge time investment and an enormous amount of work, but it is such joyful work." The original print version of this article was headlined "Vermont Youth Dancers Take Performing to Expert Heights"